Everyone loves Silver Pandas and big five-ounce silver proofs. 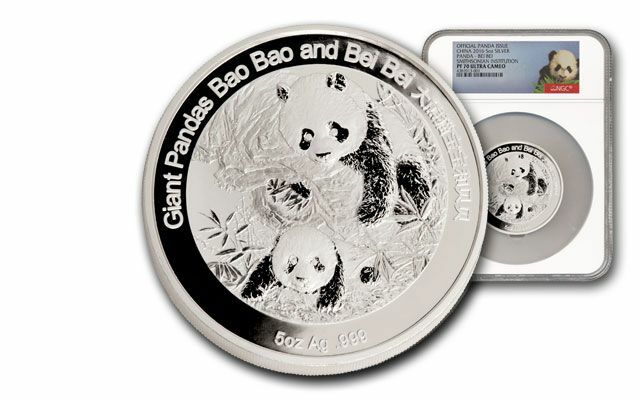 Both come together in this 2016 five-ounce Smithsonian Silver Panda Proof. 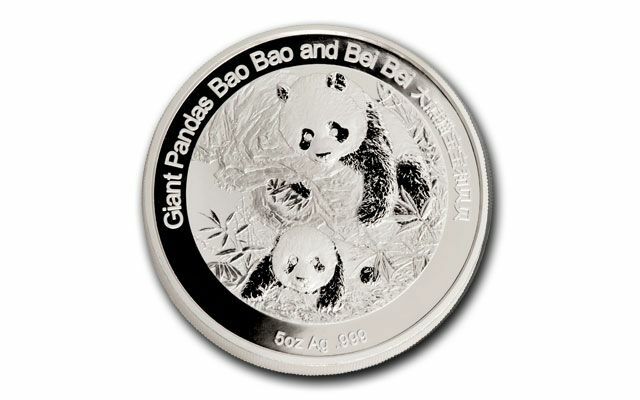 The award-winning China Mint has issued Silver Pandas every year since 1983. For 2016, the China Mint and the Smithsonian Institution released these special-issue Panda Silver Proofs, available exclusively here. 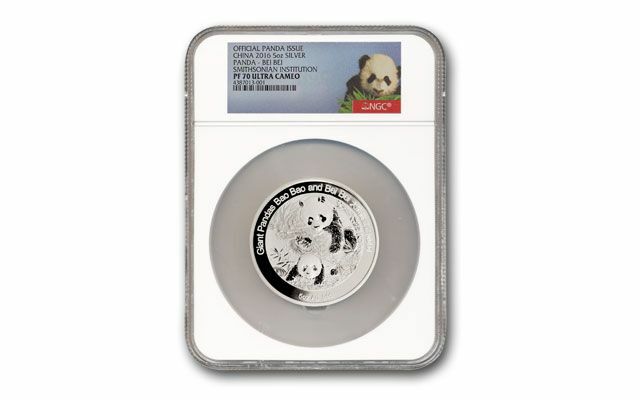 Struck in five ounces of 99.9% pure proof silver, each Smithsonian Panda Silver Proof features the National Zoo's current youngster panda pair: Bao Bao and Bei Bei. 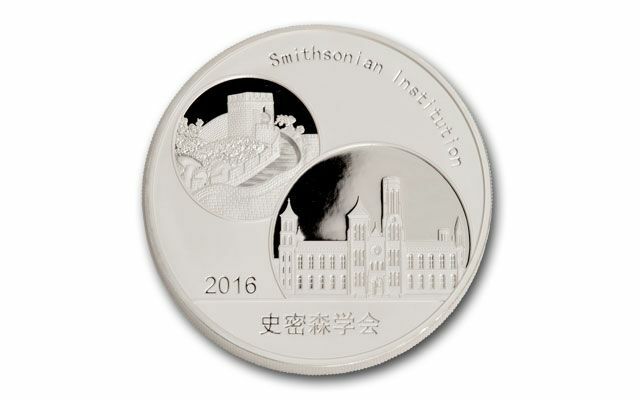 The obverse shows the Great Wall of China alongside the iconic Smithsonian Castle on the Mall in Washington, D.C. Each stunning five-ounce Smithsonian Panda Silver Proof is accompanied by an official government serial-numbered certificate of authenticity, and the earliest orders will claim the coveted lowest serial numbers. In addition, each is graded Proof-70 (PF70) by Numismatic Guaranty Corporation (NGC). Hurry — call before they're gone!